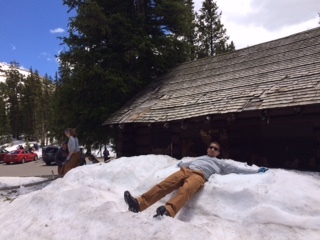 After having to head out to the Shadow Mountain Village a day early, the Shadow Mountain Crew met with their Forest Service supervisor, Andy Borek to discuss safety and logistics for the summer to get the ball rolling for the first week of work. The crew was lucky enough to start exploring around their new home in Grand Lake. The weekend was fully enjoyed with a snowy hike in the Park up Red Mountain Trail followed by an afternoon on the water of Grand Lake. Testing frigid temperatures of the water, the crew took their first dip of the summer! Work began Tuesday with some crosscut training which continued through Wednesday. After our first meeting with the crew that will be joining Shadow Mountain for the Knight Ridge backcountry trip this upcoming week, everyone was feeling very excited to put their crosscut classroom training into full force in the field! Thursday was the first day on trail. 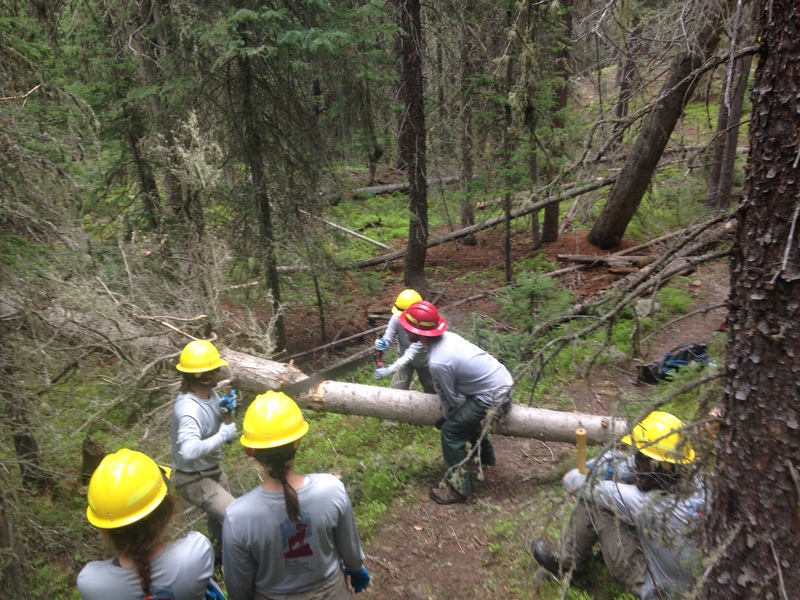 We got our hands on the saw and bucked about 15 trees and cleared drains in and around Monarch Lake. 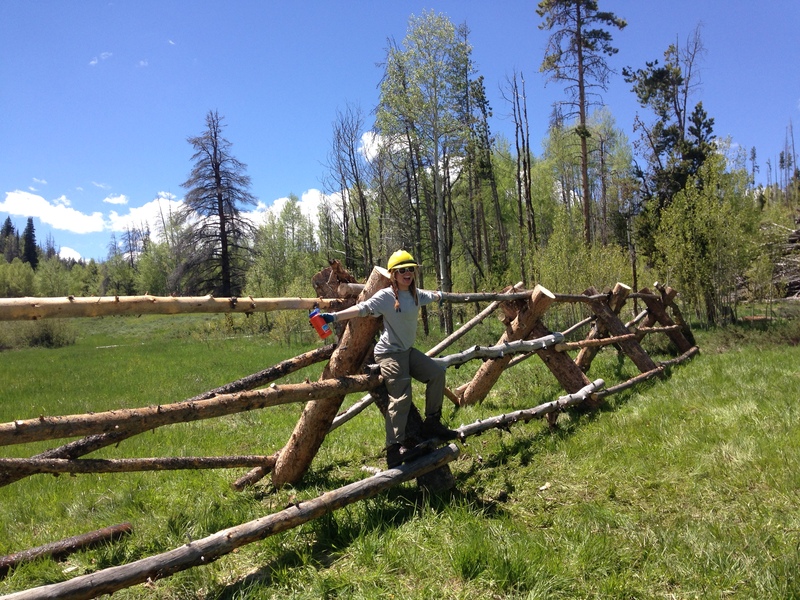 We wrapped up the week with the completion of a buck & rail fence to prevent the public from driving across the meadow around Elk Meadow Trailhead. The crew finished up the day with a fun relay to bust in the last few pins to complete the fence! 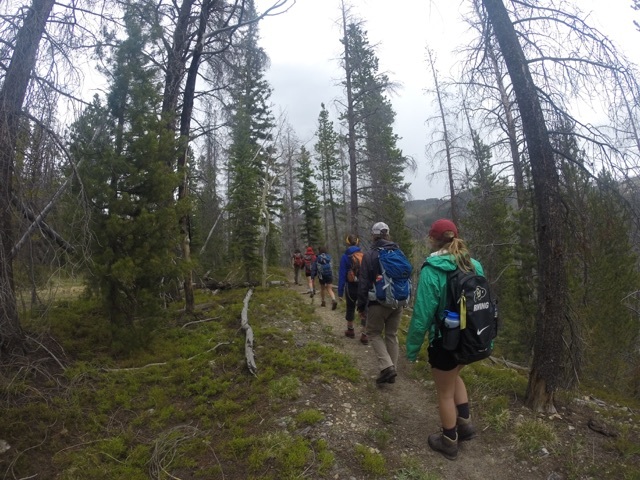 We are loving every second of our summer thus far, and extremely looking forward to a backcountry trip next week to clear trees from part of the CDT that has been unmaintained for quite some time! We will definitely start to feel even more confident in our sawing skills! This is Shadow Crew, until next time! 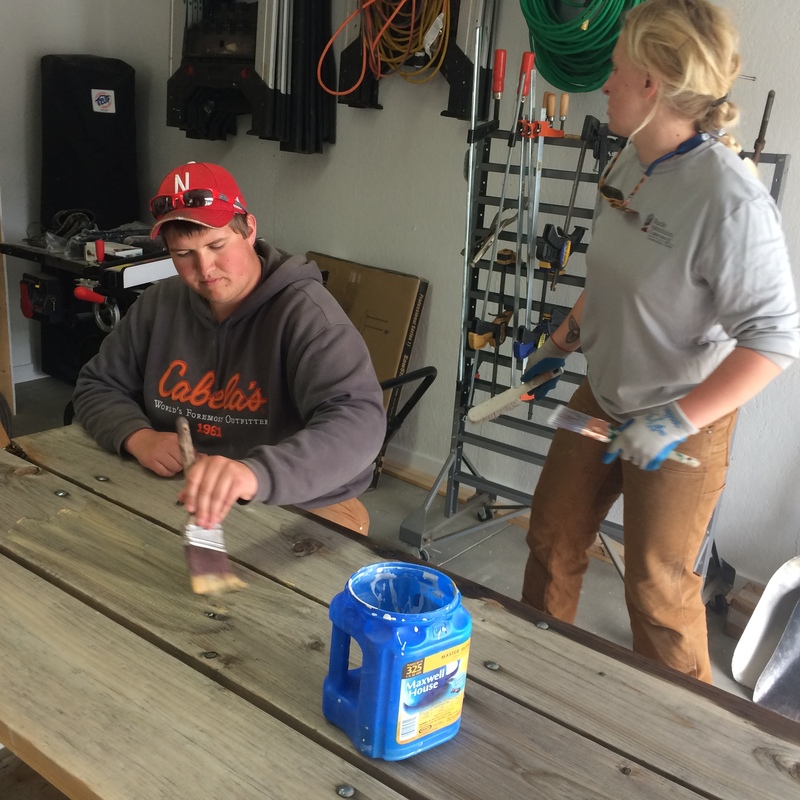 This week the Kawuneeche Crew completed a lot of training and small work projects with the special projects crew in RMNP to learn how the maintenance shop operates before we begin our big project on Little Buckaroo Barn. We attended a seasonal employee training meeting with other park service employees, park interns and volunteers to learn about what is going on in the park this season, and training for using the radio, basic work safety, and on working in a wilderness area. 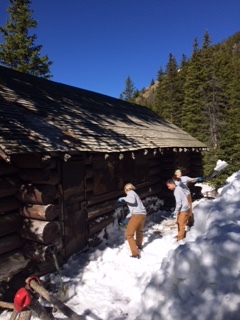 Tuesday the crew headed up to Lake Irene where the Civilian Conservation Corps mess hall was built in 1926 for the crew helping to build Trail Ridge Road. The building will be getting a new roof and new rafter tails to preserve the integrity of the structure, but first we had to dig it out of 6 feet of snow in order to put up scaffolding. Shoveling snow in June was so much fun we finished the work they had planned would take us 2 days in one morning. So on Thursday, after another day of training in the classroom, we headed over to the east side of the park to do some maintenance work in their projects shop. Dhante, Joseph and Margaret also got fitted for respirator masks this week, which will be used when we clear out the inside of the barn, which has had lots of critters running around making messes in it.